Rare Books Goes to Utah State University! 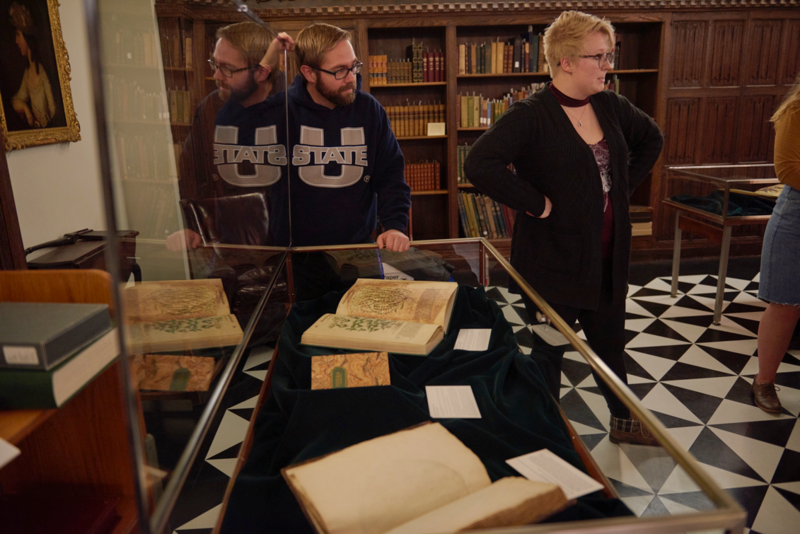 ≈ Comments Off on Rare Books Goes to Utah State University! 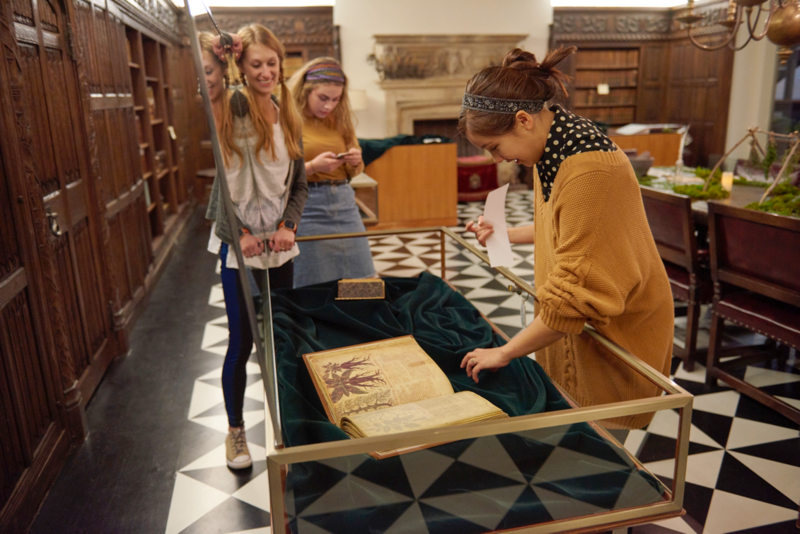 Last semester, Rare Books loaned six of its medieval manuscript facsimiles to the Merrill-Cazier Library at Utah State University in collaboration with an art history course taught by Professor Alexa Sand. 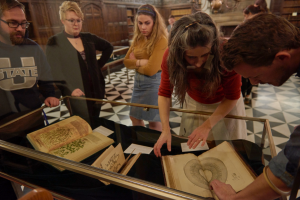 The upper-level course, “Special Topics Seminar in Medieval and Early Modern Art: Rare Books and Facsimiles,” provided a wide-ranging introduction to the interdisciplinary field of manuscript studies. The focus was the history of the codex from its advent in late Roman times to the early print era. 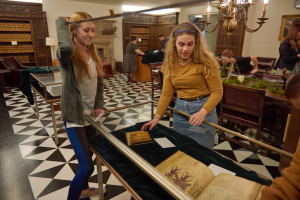 Each student selected a facsimile and researched its origins, history, and significance toward the final assignment of including it in a group-curated exhibition displayed in the library. The seminar concluded with a one-day symposium in which student researchers played an active role in discussion. 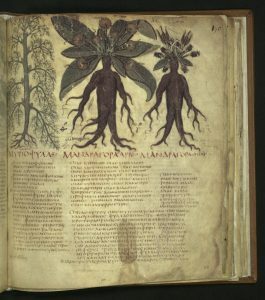 The materials selected for study related to botany and its medical and magical associations from late antiquity through the early modern period. 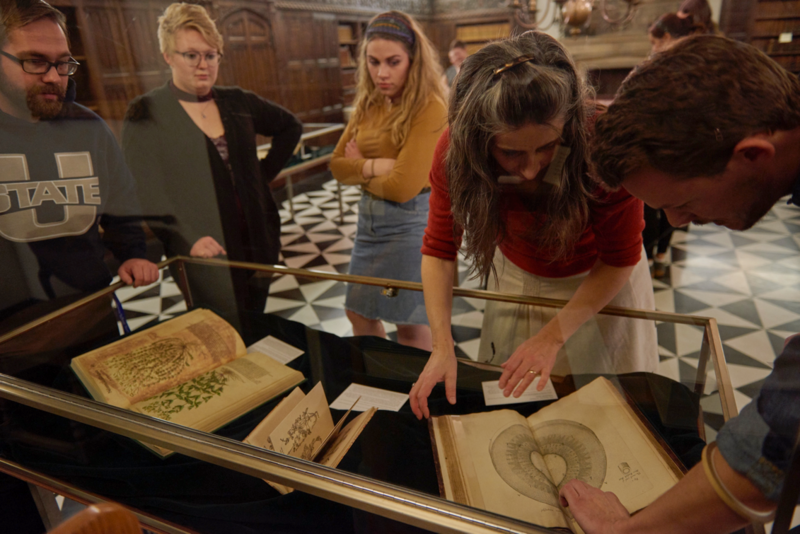 Students prepared all aspects of the exhibition, from layout and display to publicity and the opening reception, working with Special Collections faculty and staff and Professor Sand. Facsimile. This manuscript is one of the oldest in the tradition of Materia medica, a pharmacological treatise written by Greek physician Pedanius Dioscorides in the first century CE. Dioscorides’ work was used by the medieval world for centuries. In the sixth century it was translated into Latin and by the ninth century it had been translated into Arabic, Syrian and Hebrew. 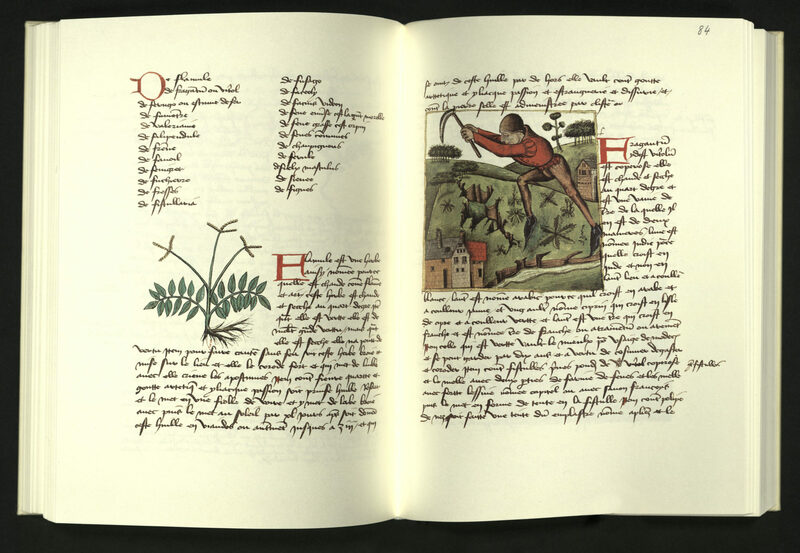 More than four hundred plants are described in this illustrated herbal manual, each illustration bordered in red ink. The binding of wooden covers and leather accords with the character of the original. Facsimile. The Greek text for this codex, produced in the tenth century, was written in Constantinople in the second century BCE. Nicander, a trusted doctor, poet, and grammarian served in the court of Athalus III, King of Pergamum. 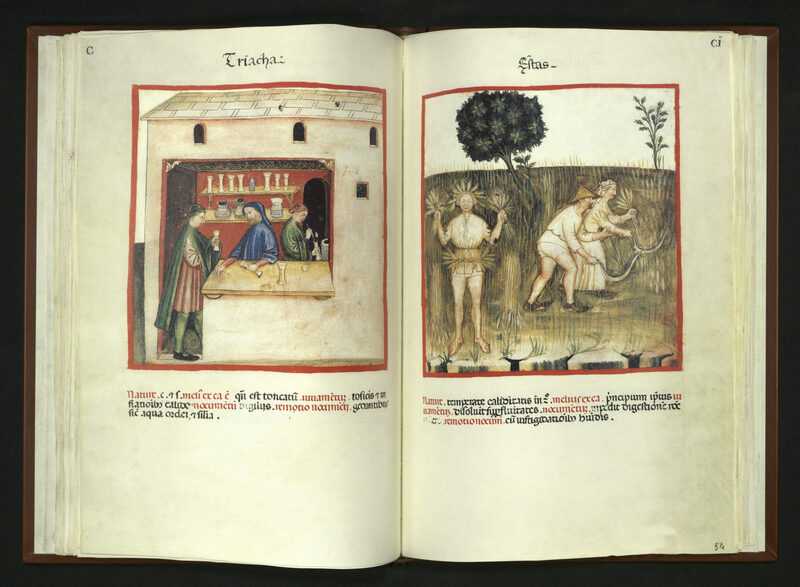 In Homeric-style verses, Nicander describes poisons caused by animal bites and stings and by the ingestion of plant, animal, and mineral substances. Antidotes are given for each type of poisoning. These nearly sixty formulas were later improved upon by Mithridates, who added opium and aromatic herbs to the potions. Nicander’s work was used by Criton, the doctor of Trajan, and Andromachus, Nero’s doctor, and is the oldest extant Greek text relating to toxicology. Using this text as his basis, Andromachus compiled a list of seventy-one curative remedies – a list used until the nineteenth-century as the panacea textbook for all and any poisonings. The tenth-century codex, a product of the Byzantine Renaissance, is the only remaining illuminated copy of Nicander’s poetry. The forty-one illustrations form a part of the Hellenistic artistic tradition. 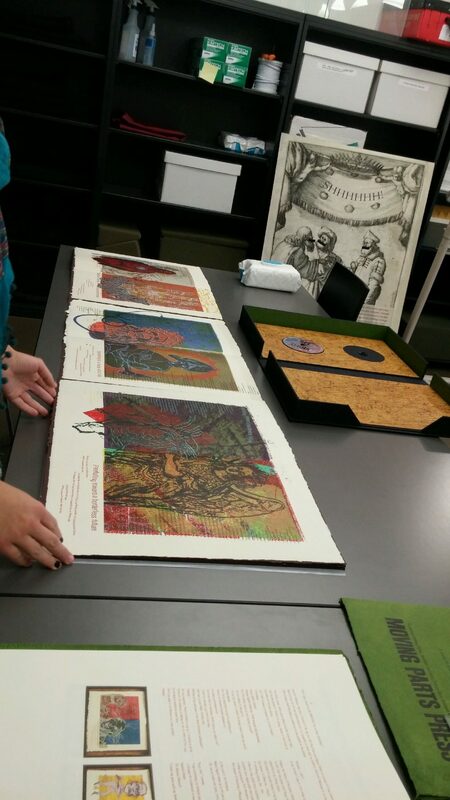 The original is now housed at the Bibliotheque National de France. Facsimile edition of nine hundred and eighty-seven copies. University of Utah copy is no. 469. Facsimile. This handbook of health was written between 1052 and 1063 CE by the Arab scholar Ububshasym of Baldach, better known throughout medieval literature as Ellucasim Elimittar. Many of the concepts used in his writing were derived from earlier Greek, Roman, and Arabic medical treatises. Good health depended upon six essential factors: climate, food and drink, movement and rest, sleep and wakefulness, happiness, pain and sadness. Plants, fruits, vegetables, and basic hygiene also affect a person’s health. Ninety-nine of these and other elements are described with the therapeutic properties of each and the ailments that may be helped by them. 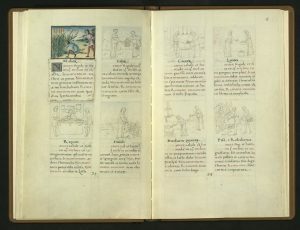 The illustrations were influenced by the school of Giovannino de Grassi. 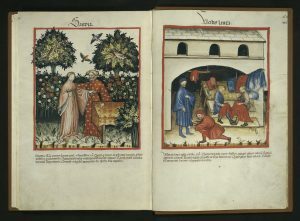 Two hundred and eight red-framed, nearly full-page illuminations illustrate scenes from daily life as well as the elements described. Facsimile. Northern Italy. This illuminated medical handbook was produced for a layperson – a woman of the upper aristocracy or of a rich patrician family able to read, and afford, a lavish book. A reference of sorts for the household management of health and healing, this type of book goes back to an Arab source written by the physician Ibn Butlan in the 11th century. The Arab art and science of healing decisively influenced occidental medicine and enjoyed a long-lived and distinguished reputation. The Latin translation, which made the codex accessible to the educated of the medieval western world, was widely known. Many copies survive. This particular copy is one of the finest of its kind, displaying over two hundred full-page miniatures of all that was considered important with regard to human health and well being. Beginning in the 14th century, the text was placed below an individual image. The evocative miniatures portray everyday life of late Medieval Italian culture. With a natural style and strong colors, two artists portrayed plants, animals, food, and drugs. All of the objects are within scenes centered upon a human. The text below each miniature describes both the benefits and shortfalls of the object depicted. Derived from the classical herbal tradition, but closely related to Arab manuscripts, the format follows a later western tradition. Bound in leather on wooden boards with hand stamping according to contemporary pattern. Facsimile. 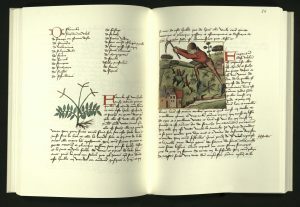 This late fifteenth-century manuscript is of what has become known as “Livre des Simple Medecines,” a major text of medieval science. Many manuscript copies of this work exist – at least twenty-three from the fifteenth century and one from the sixteenth century. It was first printed in 1488 and printed nine more times before 1548. In classic herbal format, Livre des simple medecines is an alphabetical list of “simples,” that is, unadulterated vegetable, mineral or animal products. Each entry provides a description and, among other things, its usefulness in treating ailments. Herbals as pharmacopeia began in ancient Mesopotamia and Egypt. 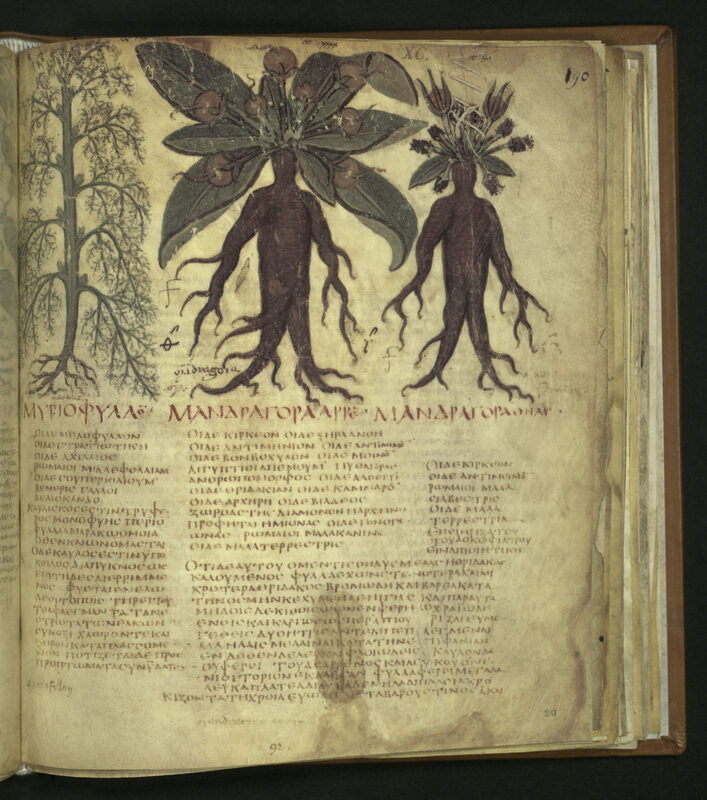 The earliest surviving medical herbal is a work in Greek compiled by Pedianos Dioscorides. This work would dominate European herbals for the next fifteen centuries. It was translated into Arabic as early as the ninth century and influenced Avicenna and other physicians from the Arab world. Herbals were living works. That is, copyists, often practitioners of medicine themselves or copying for practitioners, would contribute to adapt or modify an herbal depending on new or different experience. In this tradition, the French translation here includes new sources such as ibn Butlan, an Arab physician, and others. 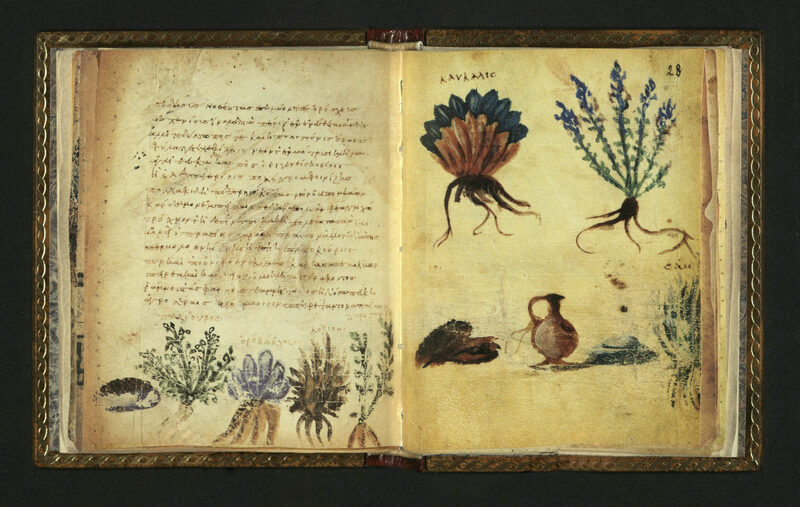 The four hundred and fifty-seven illuminations in this copy, the Codex Bruxellensis IV, reveal an attempt by the artists to be faithful to nature. In this sense, the desire was to return to copying nature, instead of merely copying degraded illustrations from older herbals. Deliberate observation and representation of nature emerged in all forms of art in the fifteenth century. Codex Bruxellensis IV was copied onto paper. Written in maroon ink by a single hand sometime in the second half of the fifteenth century in a cursive script, the copy also contains marginal annotations by at least two sixteenth-century hands. An attempted pagination was added by a seventeenth-century hand. At some point in its history, one owner added dried samples of plants within its leaves. 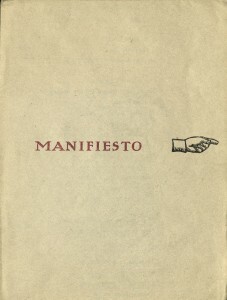 Facsimile edition of two thousand copies. The University of Utah copy is no. 316. Facsimile. Venice, 1490. 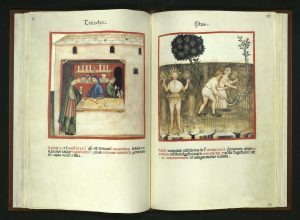 Tacuinum Sanitatis (Handbook of Health) is the modern title given to one of the most popular treatises on medicine during the later Middle Ages. It combines Arabic and western knowledge on many types of foods, plants, and circumstances, with particular reference to their useful and harmful properties, and how the latter could be cured if necessary. The illustrated versions of this text yield much information on medieval daily life. 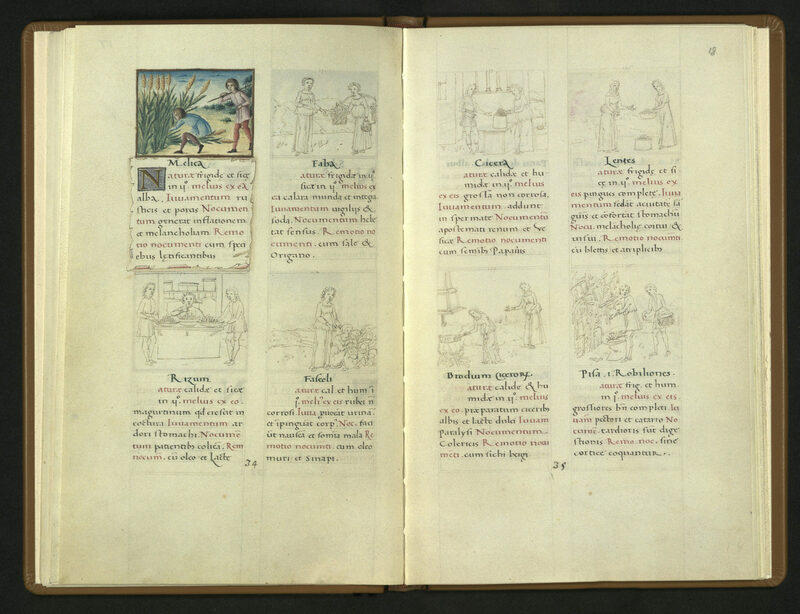 The manuscript is comprised of 82 leaves, with four miniatures per page, a total of 294 miniatures. The captions or text are based on the Taqwin al-sihhah of Ibn Butlan (d. 1066), which was unillustrated. Ibn Butlan, originally from Baghdad, visited Cairo about 1049, after which he went to Constantinople before settling at Antioch in Syria and becoming a Nestorian monk. 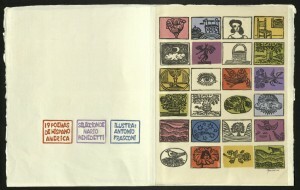 Facsimile edition of nine hundred and eighty copies, numbered. Special thanks to our colleague Jennifer Duncan, Head of Special Collections, Book Curator, Merrill Cazier Library, Utah State University. During Fall Semester, 2015, University of Utah graduate students in SPAN6900-2 Analyzing Texts: Form and Content visited Rare Books. 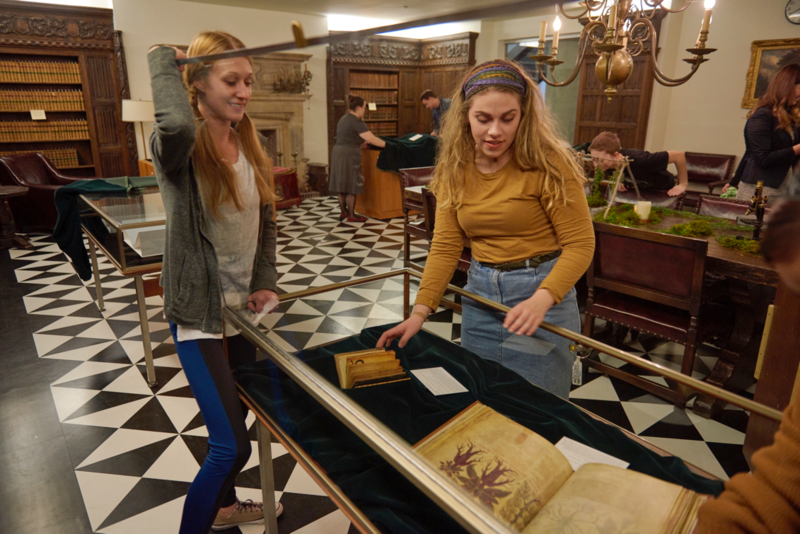 During the third and final session with Rare Books, the students were introduced to late 20th century/early 21st century fine press and artists’ books. The session ended with the premiere viewing of our copy of DOC/UNDOC Documentado/Undocumented Ars Shamánica Performática, purchased in September. Student response was so strong that managing curator Luise Poulton, in her typical over-enthusiastic way, exclaimed, “You should post your thoughts on Open Book!” Prof. Isabel Dulfano, in her own enthusiastic way, immediately took up the suggestion and made this a new assignment, right then and there. Bless the beleaguered grad students! Rare Books is pleased to present these responses, one post at a time. “Me hicieron perder mi imaginación y la han reemplazado con miedo”, se escucha decir en voz en off en un fragmento del video que forma parte de la obra más reciente de Guillermo Gómez-Peña, DOC/UNDOC Documentado/Undocumented Ars Shamánica Performática (Moving Parts Press 2014). Esta reciente obra de la autoría del mexicano Gómez-Peña, plantea el tema controversial de “cruzar la frontera” utilizando sus propias experiencias para poder conceptualizarlo, habla de la dualidad que representa una persona que siendo documentada de un país, en este caso México, se convierte en indocumentada al cruzar la frontera y llegar a Estados Unidos. Se puede clasificar esta obra como un “kit” artístico que incluye un DVD con el performance de Guillermo Gómez-Peña y video de Gustavo Vazquez, un CD con música de autoría de Zachary Watkins, un libro bajo el formato de la artista Felicia Rice que recoge textos del artista y escritor Gómez-Peña y comentarios de la historiadora de arte Jennifer González, todo dentro de un baúl metálico adornado con espejos, luces brillantes y una tela que asemeja la piel de un leopardo. Esta obra es un concepto de arte que rompe con todos los esquemas convencionales, es más que nada, una experiencia tangible. La obra, al contener una gama tan completa de formas, rompe las barreras que se tenían en cuanto a lo que apreciación de arte se refiere, presentando un formato interactivo, el espectador puede con esta obra no solo ver, sino también escuchar e incluso tocar. Según la definición del libro de Aproximaciones al estudio de la literatura hispánica, el arte comprometido es el arte que implica una actitud crítica o no conformista, actitud que mantiene todo artista que tiene la obligación moral de poner su obra al servicio de una causa social o política (3). Guillermo Gómez-Peña, definido por él mismo como un artista que vende ideas, nos presenta una obra de arte comprometida, el producto resultante de siete años de arduo trabajo y dedicación. Su nueva obra, DOC/UNDOC, es una fusión de ideas basadas en la combinación de dos naciones, dos culturas, dos idiomas, que incita a romper con las nociones que se tienen actualmente de lo que una persona “ilegal” tiene que vivir en el viaje de “cruzar la frontera”. Muestra a través de métodos artísticos poco convencionales la lucha diaria que millones de mexicanos tienen que enfrentar día a día en una sociedad que rechaza el idioma español, y todo lo que conlleva la cultura de aquellos quienes lo hablan. Nacido y crecido en la ciudad de México para después emigrar hacia Estados Unidos, convierte a Gómez-Peña en un agente intercultural, experiencia de la cual hace uso en sus obras. Su trabajo incluye performance, video, audio, instalaciones, poesía, periodismo y teoría cultural, abordando cuestiones interculturales, inmigración, política del lenguaje, y nueva tecnología en el mundo actual (Pocha Nostra). Desde hace algunas décadas, Guillermo Gómez-Peña ha explorado a través de su arte cuestiones culturales a través del uso de “arte mixta”, y de la combinación de dos idiomas, Español e Inglés. 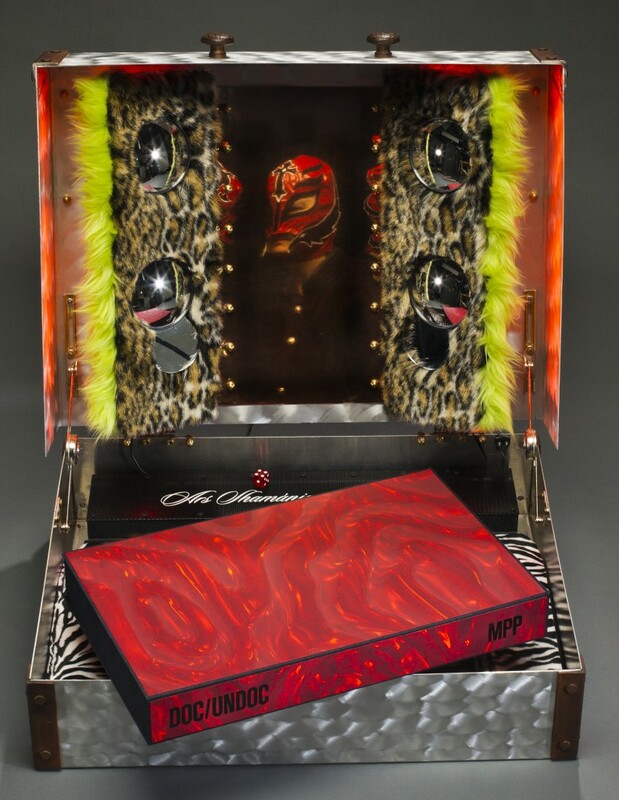 A través de su arte que se ha desarrollado de manera continua, Gómez-Peña ha creado performances que incluyen una narrativa bi-nacional, creando lo que diversos críticos han definido como “Chicano cyber-punk performances” y “ethno-techno art” (Pocha Nostra). 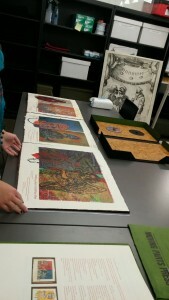 Esta obra forma parte de la colección disponible en la sección de Rare Books de la Universidad de Utah. Siendo parte del grupo de SPAN 6900 Analyzing Texts: Form & Content, con la profesora Isabel Dulfano, tuvimos la oportunidad de a lo largo del semestre acudir a esta sección en varias ocasiones. La primera visita la hicimos para conocer de códices, manuscritos y glifos mayas, empezando de esta manera nuestra incursión a la literatura. Habiendo discutiendo previamente en clase los siguientes temas, tuvimos nuevamente la oportunidad de una segunda visita para conocer el concepto de manuscrito, conocimos versiones antiguas de libros que incluyen diversos géneros literarios como poesía, drama, ensayos, prosa, pertenecientes a las regiones de Latinoamérica y España. 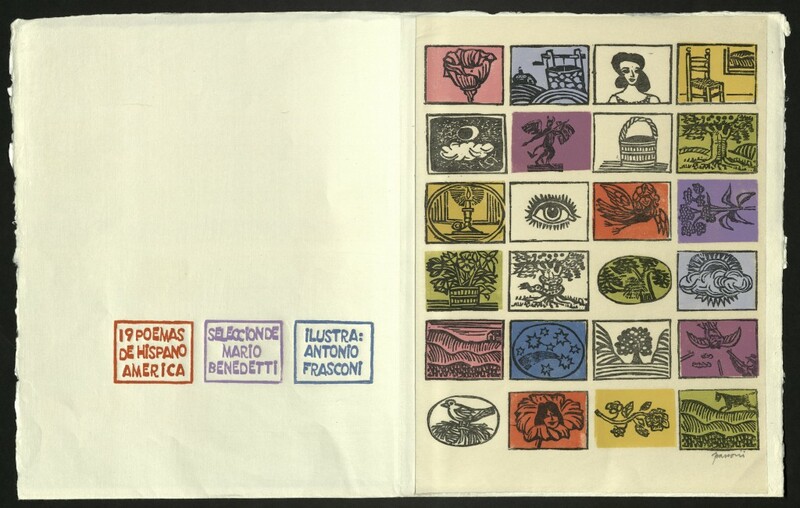 Para cerrar el semestre, acudimos una vez más a la sección de Rare Books, esta vez para conocer los diversos formatos en los que los libros más actuales son presentados, por mencionar algunas obras tenemos la obra de Antonio Frasconi, 19 poemas de Hispano América, una colección exclusiva de poemas de diversos autores, impresos en papel japonés, firmados cada uno por el artista. 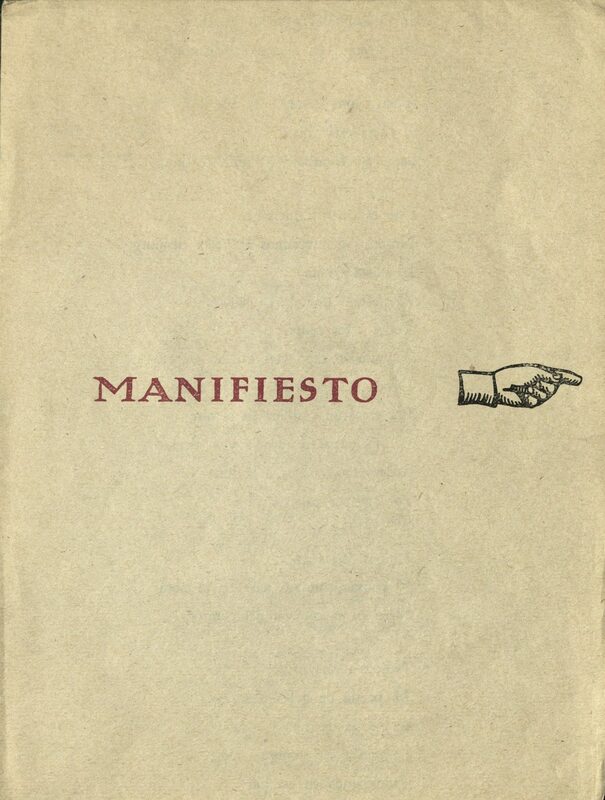 Otra obra es Manifesto, de Nicanor Parra, una obra en la que el autor revela lo que el considera la forma en que un poeta debería de escribir. Y como parte final, conocimos la obra de Guillermo Gómez-Peña, DOC/UNDOC, la cual aborda temas de concepto de identidad, contexto, transición, frontera y reinvención del individuo. Haber tenido la oportunidad de formar parte de un grupo en el que se conoció de literatura desde sus inicios hasta la actualidad, es una experiencia que todo estudiante debería de tener, y si acaso no está dentro de su alcance el matricularse en una clase como éstas, los invito a conocer la sección de Rare Books, será una experiencia que no olvidarán. Friedman, Edward, Virgillo, Carmelo, Valdivieso Teresa, and Edward H Friedman. Aproximaciones Al Estudio de La Literatura Hispańica. 5th ed. Boston: McGraw Hill Higher Education, 2003.